A perfect outfit for any day of the week. I've noticed that lately my blog has consisted a lot of outfits that tend to be on a more "dressier" side of the closet so I thought why not share some of my new fave basics of the wardrobe I've recently added. 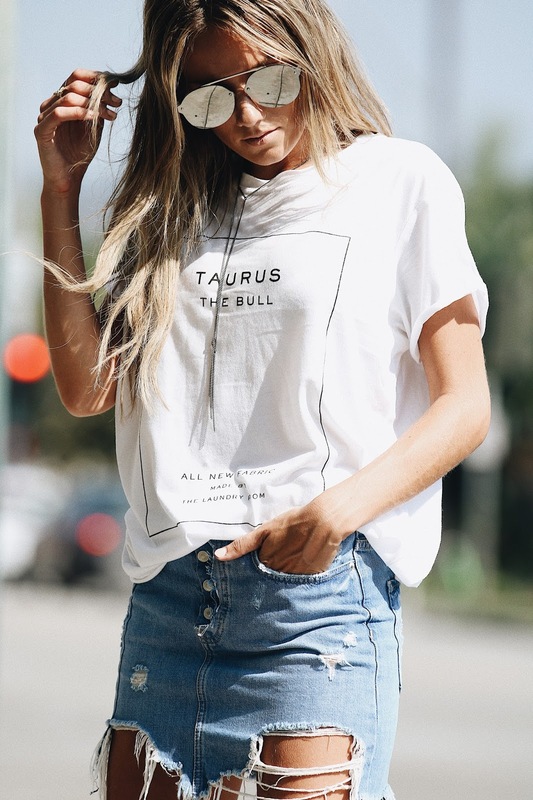 I have recently discovered LAhub - an online boutique that showcases products from a highly curated mix of LA-based fashion, beauty and lifestyle designers. Instead of browsing around to put together an outfit, they've made it easy to shop an entire look head-to-toe on their website! 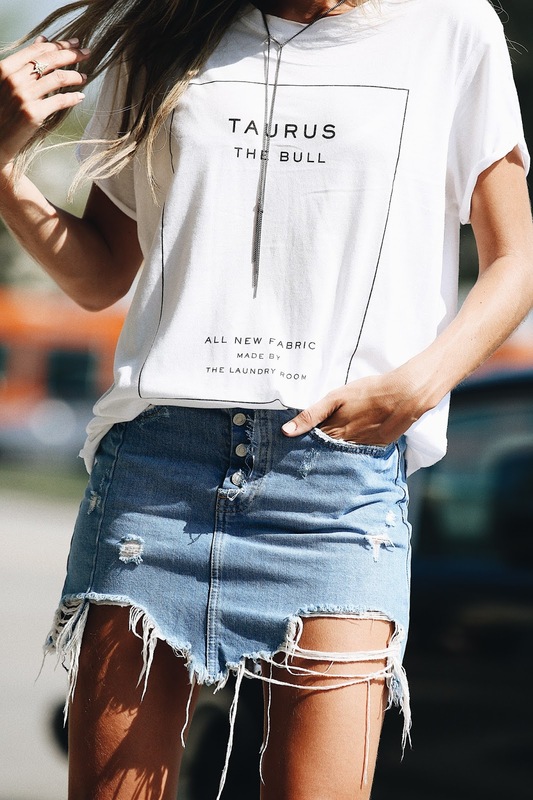 This tee and jewelry are both by local LA designers that could be found on LAhub, which I am also linking at the bottom of the post so you ladies can shop these pretty pieces. I think it's extremely important to support designers that are building a business on their own and are sharing their beautiful items for us all to have a part of their art piece as our closet. I myself have started blogging on my own with support from my family and friends and I know how important it is for others to believe in you and your work. I am very thankful to a platform like LAhub that gives an opportunity to these designers to showcase their work and tell their story, letting you shop LA lifestyle. LAhub is currently hosting a giveaway that I must share with you as I have entered it myself as well. Ladies head over there to enter for a chance to win $500 shopping spree on their online boutique! Click on HERE to enter. This pretty jewel on my neck is by a local LA designer Brianna Lamar. What caught my eye when looking for a jewelry piece is that each piece from her collection tells a story and represents twilight, the dream time. You can find out more about her on HERE, each piece is unique and adds just a right amount of a detail to your everyday look. This tee is a must-have ladies! It not only makes a statement [so no one forgets your zodiac sign], but is also extremely comfortable! This pretty piece is designed by The Laundry Room, result of two brothers and their passion for fashion and creation of pieces that is the evolving expression of never-ending soul searching. Click on HERE to find out more about The Laundry Room. Jewelry: Brianna Lamar. Buy on HERE. Top: The Laundry Room. Buy on HERE. Thank you LAhub for partnering with me on this post.